In the last few months, President Obama has been making a lot of media appearances to convince uninsured Americans to sign up for the Affordable Care Act before the March 31 deadline. 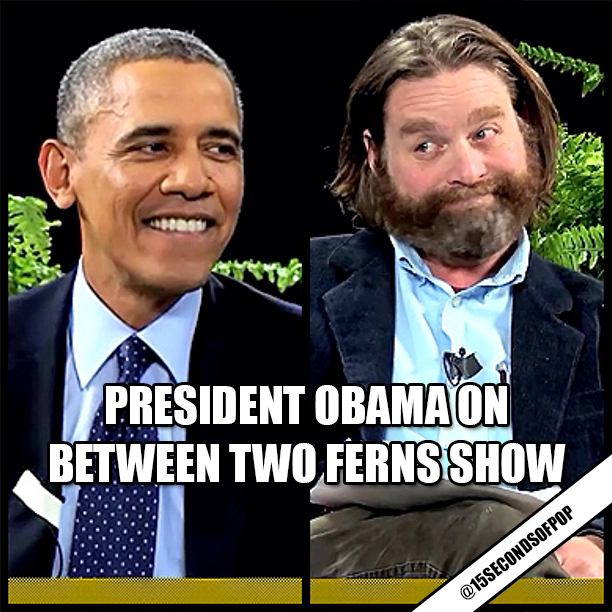 Today, the President sat down with Zach Galifianakis on his notoriously awkward web comedy show “Between Two Ferns” to pitch his Health Care, but it didn’t come without a few jokes and weird questions from the host! Watch the FULL video on our website (link in bio) Funny or what! ?